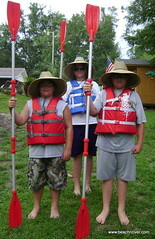 BeachnRiver Kayak Rentals | Find Your Inner "Huck Finn" — You'll Have A "Beachin' Good Time!" Foley, AL — Captain your own “Eco-Kayak Tour” with BeachnRiver Kayak Rentals in fun and easy-to-maneuver single or double Sit-On-Top kayaks exploring tranquil, still-water rivers and creeks with a top rated “off the beach” Gulf Shores, Alabama attraction. Because BeachnRiver Kayak Rentals is located just minutes North of Gulf Shores, AL beaches in Foley, a kayaking excursion with us allows you to expand your Alabama Gulf Coast vacation experience exploring the area’s back rivers and creeks at your own pace while remaining in close proximity to the beach and other nearby popular attractions. During summer months BeachnRiver Kayak Rentals offers you a “Self-Guided” personal freedom to explore the Bon Secour River for up to eight hours at your pace — alone with only your family and friends — so you can re-charge or re-connect relationships in the peace and quiet environment of “back water” river life. 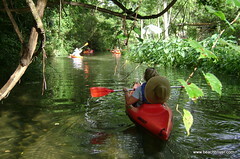 The BeachnRiver kayaking experience is different than other local options. Our focus is not just about “kayaking,” “gaining kayaking skills” — or even about giving history or nature lessons. We are an old-fashioned “mom and pop operation” with intent to extend to you, our treasured guests, a genuine Southern hospitality with dedicated attention to ensuring a quiet enjoyment of a calm river with a goal toward making the experience your own private adventure. You will observe flora and fauna in a way like no other boat “tour” with an engine can offer. Parts of the river are so shallow and clear you can see fish swim beside you. You are inches from the water so with stealthy paddling, you can observe even skittish turtles and other wildlife up close. Although you will see modern-day homes, the river lifestyle will remind of an earlier, slower time in life. Kids and grand-kids take turns swinging from giant rope and tire swings. Tree houses overhang the river. Children and adults practice their cast-net skills for an evening’s catch. Personal docks along the river showcase quirky personalities. Home-styles ranging from historic, columned Southern estates to hurricane-ravished shacks to newly-built beach-style cottages, to million-dollar-mansions, offer you a glimpse of a collective history representing a lifestyle that can best be appreciated quietly by water. During your typical three-to-four hour paddling experience, you will gain a cultural experience incomparable to any other river or Bay in the Alabama Gulf Coast area. The Bon Secour River, for instance, has always been known as a “working-man’s river” where shrimpers’ boats are parked outside their homes — just as yachts or pleasure boats are parked on other local bodies of water. Like the “Bon Secour” name suggests, the river is a “safe harbor” — protected from the stiff winds, strong undercurrents, tides and swells of other local rivers, Intra-Coastal waterway and bays. To extend the paddling season and to offer experiences to guests who arrive in late autumn or late spring, BeachnRiver Kayak Rentals will offer our unique style of “Self-Guided, Guided” tours (only when conditions are optimal) on other especially-chosen shallow, still-rivers and creeks throughout the area. 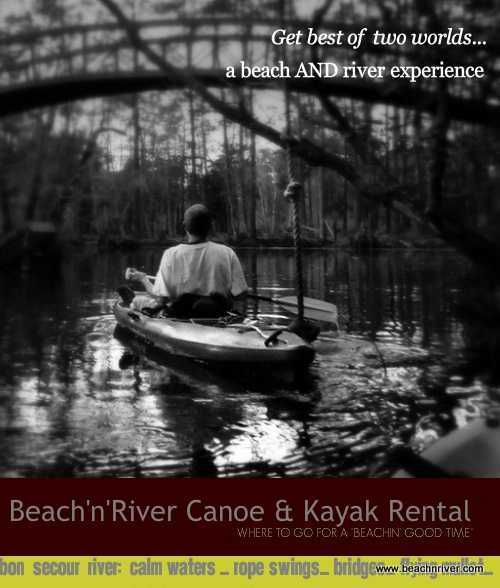 What sets BeachnRiver Kayak Rentals in Foley, AL apart from other local “Eco-tour,” kayak rentals and kayak tour companies? We have a vested interest in the river. We live and work on the river. The river is our love, our refuge, our respite from the craziness of life. The river is also a source of income to us — but not at any cost. So to preserve this unique and precious way of river life and to continue to offer such a wonderful, peaceful and tranquil experience, BeachnRiver Kayak Rentals has rules regarding personal behavior while on premises and while paddling the river. Prior to arriving, we request ALL potential guests (even minor children) be made aware of the rules and expectations with the understanding you will sign a contract of compliance and be held accountable for conduct. 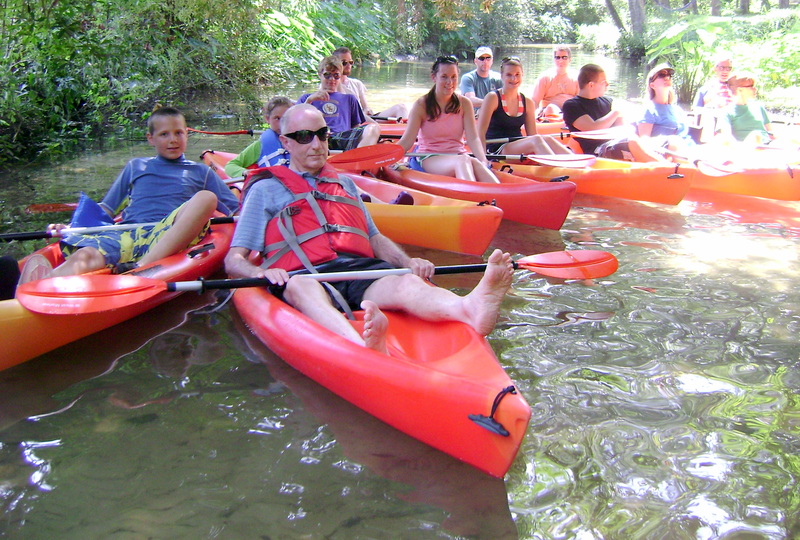 BeachnRiver Kayak Rentals is a wonderful amusement for folks of all ages and will accommodate parties up to 50 — perfect for special, scouting and group functions. In a nutshell: Because of our rules and Spring/Summer “Self-Guided” and our unique Autumn “Guided, Self-Guided” tour options, BeachnRiver Kayak Rentals offers the most tranquil and private paddling experience possible kayaking calm, back-water creeks and rivers in the Gulf Shores, Alabama area. Choosing to paddle with BeachnRiver Kayak Rentals means you opt for a relaxing, family-friendly adventure, with the freedom to paddle where you please, with whom you please, at the speed or leisure your own curiosity guides you. So while planning your next Gulf Shores or Orange Beach, Alabama vacation why not add kayaking with BeachnRiver Kayak Rentals to your fun “Things To Do” or “Amusement” list? Entered my happy comments about my Thurs. kayaking with my brother on Trip Advisor but when I finally got to the “submit”, the reply stated that I could only make remarks on the same place three months apart (had commented on my fun trip with a girlfriend in May). So, anyway, thank you for the great opportunity you offer ….to enjoy nature and its ever changing sights in a peaceful, easy as you go manner. I always leave feeling happy and accomplished! Will definitely see you again. You have been such a great supporter of our little business — kayaking alone, then with your daughter and another time introducing your brother and a lady friend. We appreciate you so much and look forward to seeing you again. It makes us happy that you are able to appreciate the ever changing sights each time you paddle. Thank you, Rick and Betty, for guiding us on the perfect family outing today! Jake (10) thought it was the best “off the beach” experience in all our years of coming to Orange Beach. Easy to learn for us first-timers and tons of fun. We spotted an eagle perched close to its huge nest, a giant loggerhead turtle, and even a dolphin on our two-hour adventure. We will definitely see y’all again next October!!! River Rick and I could not have asked for a better group for our inaugural, “maiden,” guided tour. We’re so happy to learn Jake (age 10) considered it a “best” experience in ALL his years of visiting the Gulf Shores/Orange Beach, AL area! That you testify paddling was easy to learn as kayaking first-timers has allot to do with how attentive you were and how easy it is to paddle our still, flat, back-waters. As I recall we faced a pretty stiff headwind both ways and you had little difficulties due to the fact we were not paddling in an open bay. Isn’t it AMAZING to see such spectacular wildlife like an eagle, a giant turtle and dolphins in a two-hour tour? We will look forward to seeing you again for a paddle with BeachnRiver Kayak Rentals whenever you return — Autumn, Winter, Spring or Summer! Thank you again for being such great guests. It is because of guests just like you and your family that we continue to strive to offer this experience to folks visiting the Alabama Gulf Coast. p.s. We welcome more guests JUST LIKE YOU. 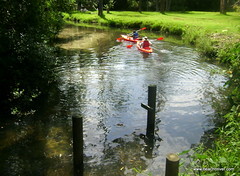 BeachnRiver Kayak Rentals does not advertise and only relies on the kind referrals from former guests. It would honor us greatly if we could also show off such a unique “off the beach” attraction to your friends and other family members. We were so excited to find you and to experience Kayaking on the beautiful calm waters of the Bon Secour River. Rick gives great directions fo there is no chance of getting lost and we so appreciate all of your help in securing everything and making sure we knew where to go. 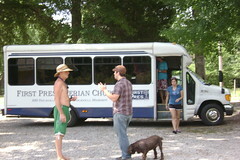 This was a great trip to take with out teenagers. We saw a dolphin and many turtles. Thank you for an amazing experience! Thank YOU Healy family for choosing to spend a portion of your Gulf Shores, AL beach vacation exploring the river via kayak with BeachnRiver Kayak Rentals in Foley. We have been lucky to experience having dolphin pop out of the water near our boats and we can say without hesitation there is no comparison in experience than to observe and hear dolphin so close to the water as by kayak. Paddling via kayak is also a great way to observe turtles. We are happy you and your teens had the opportunity to see such wonderful creatures. Thank you again for supporting our business. We thrive on “word of mouth” referrals and hope you will share your experience with folks who are just like you! p.s. “Can We Get Lost?” is a Top Five most commonly asked question We advise our potential quests to review these questions prior to arrival — like you did. This way River Rick’s instructions will seem easy, breezy to follow. Great day and great kayak experience! Just beautiful! We WILL be back! Suzanne, Rita, James and Jack. WONDERFUL! I’m glad you enjoyed your kayaking experience Suzanne. We will look forward to hosting you again, Rita, James and Jack. This is our second time to kayak here and we LOVE it! We went the last week in July and had a blast. Rick and Betty go out of their way to please you and help in any way possible. If you want to go kayaking, this one is THE BEST!!! Thank you so much for returning to kayak with us. It means so much to us that wonderful guests like you choose to spend a portion of your Gulf Shores, AL vacation with us. We also appreciate that you would take the time to write a comment/review for others to see. We do our best to show Southern hospitality and to show our treasured guests how much we value them. We welcome you to return and kayak with us the next time you vacation in the area. p.s. … and we are tickled to have hosted THREE GENERATIONS of the POWELL/SMITH family. Maybe you’ll get to see DOLPHIN again next year. We sure will enjoy watching those kiddos grow up! We did a google search because we knew we wanted to Kayak when we were staying on Orange Beach. We chose BeachnRiver because of its proximity to where we were staying and their very reasonable rates. It was a relaxing and quite trip, we were the only ones one the river. We took another couple who had never kayaked, it is a perfect place for beginners. It was a wonderful trip, lots of wildlife and beautiful scenery. Really nice family owned business, did not feel like we were in the middle of a tourist attraction. We will definetly do it again next time we are in the area. Thank you so much for sharing your personal kayaking experience. Future kayakers will appreciate learning how you discovered BeachnRiver Kayak Rentals and will feel comforted by your recommendation as a great place for beginners. River Rick and I are glad you and your guests enjoyed the wildlife and scenery and hope to see you next time you are in the area!